Item # 318672 Stash Points: 19,995 (?) This is the number of points you get in The Zumiez Stash for purchasing this item. Stash points are redeemable for exclusive rewards only available to Zumiez Stash members. To redeem your points check out the rewards catalog on thestash.zumiez.com. 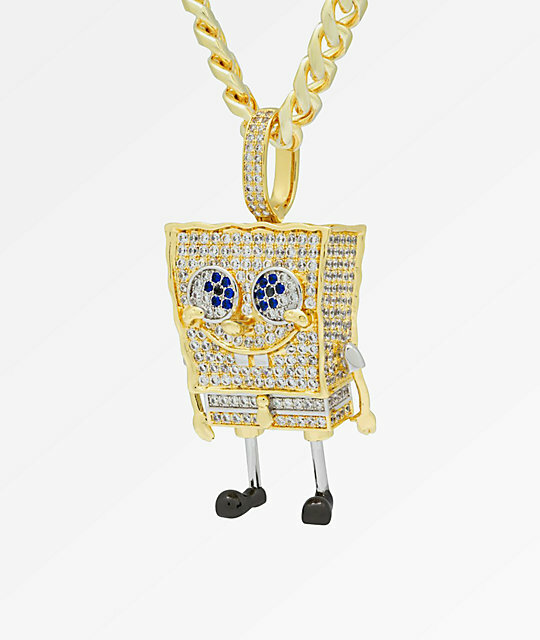 Celebrate one of the most iconic cartoon characters of all time when you rock the King Ice x Spongebob Squarepants XL Pendant Necklace. Nickelodeon and King Ice have teamed up to create this one-of-a-kind piece. 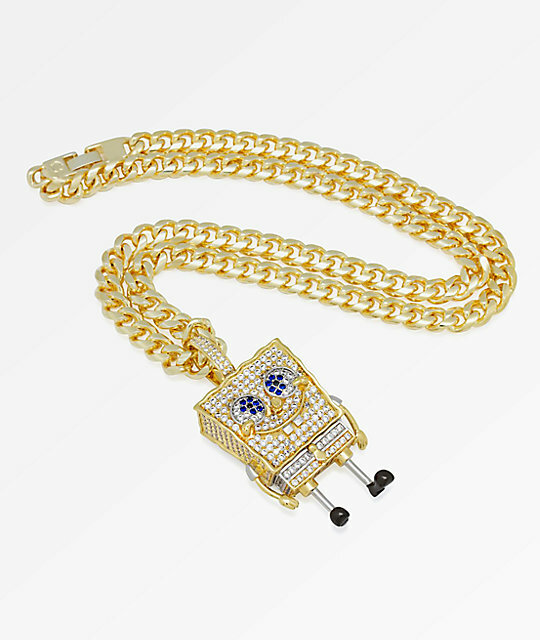 This 2" tall 14k gold dipped pendent features a 3-D shape of Spongebob, and has been fully encrusted in clear and blue cubic zirconia stones. A 20" Miami Cuban chain and sturdy fold over clasp finish off this amazing piece that celebrates the one who lives in a pineapple under the sea. 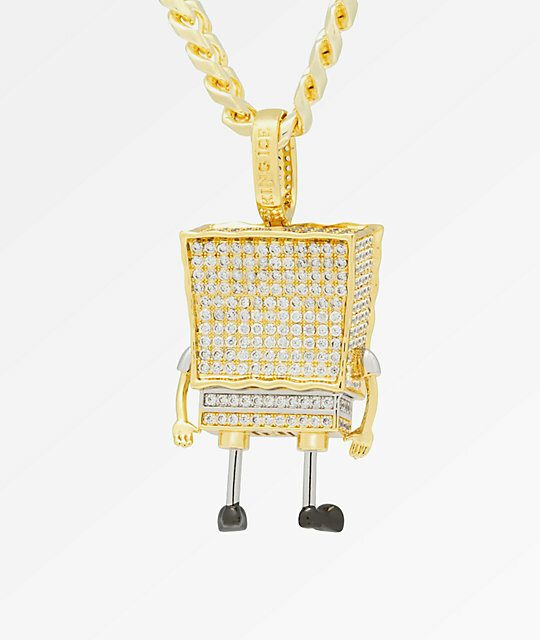 Spongebob Squarepants XL Pendant Necklace from King Ice x Nickelodeon. Official King Ice and Nickelodeon collaborative design. Clear & blue cubic zirconia stones throughout. 2 1/2" (6.5cm) x 1 1/4" (3.175cm) pendants.